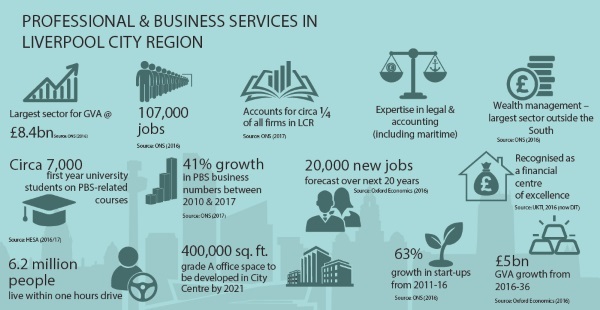 A new business review recently endorsed by the Liverpool City Region LEP and private sector stakeholders has highlighted growth across Liverpool City Region’s Professional and Business Services (PBS) Sector. The review also shows there is a need to focus efforts to improve productivity and future proof growth. It shows the sector plays a crucial role in the local economy – providing 107,000 jobs across 12,000 companies and contributing £8bn annually in GVA. Moreover, it’s vital to realise the strength and depth of our Professional and Business Services will help to fuel growth across all sectors, in turn supporting an increase in GVA. Professional and Business Services are an enabler for the whole of the local economy. Being involved with this project, in my role as Chair of the LCR Professional and Business Services Board, has shown me the passion and expertise we have and, most importantly, the potential to further expand by promoting ourselves in a joined-up way. This exemplifies the need for greater collaboration. If we can encourage more student to business engagement ranging from careers guidance, shadowing, mentors to placements and apprenticeships; then we are better placed to meet future employment needs from local talent pools. Of course, the publication of the PBS baseline review is only the first step. Now the hard work begins! This is at the heart of my message: we need your support and input to realise our ambitions to improve skills and talent retention, create more jobs – especially higher productivity roles and to help spread the growth story our City Region has to tell. We need everyone to be an advocate for our City Region and pass on the great stories – from growth (up by 41% between 2010 and 2017, compared to 23.5% across other sectors) to investment (6 new law firms in the past 18 months, a new Knowledge Quarter, etc.). We have an opportunity to be the City that helps itself. To help equip you, as our stakeholders and ambassadors, we encourage you to access and use the infographics on the key sector statistics which can be used in presentations. The baseline review also highlights some sobering statistics. On skills we need to improve across the board as resident qualifications are below or near national averages across NVQ levels. I think we start this at primary schools where we can instil confidence, aspiration and awareness amongst our young people. We can support teachers in the provision of careers guidance to ensure pupils understand the infinite variety of jobs available on their doorstep; and that these opportunities are open to them to succeed in their chosen field. We are developing a pilot with QVC which will help a cohort of year 9 pupils in Knowsley to develop resilience, belief and aspiration to achieve. Importantly the pupils’ school tutors who guide them over a three-year period have also undertaken the training, ensuring the topics can be discussed as they develop and the impact assessed. Our hope is to be able to scale this to offer more pupils a chance to develop key transferable workplace skills. Mentoring and shadowing are other initiatives we would like private sector support to reach as many young people as possible. 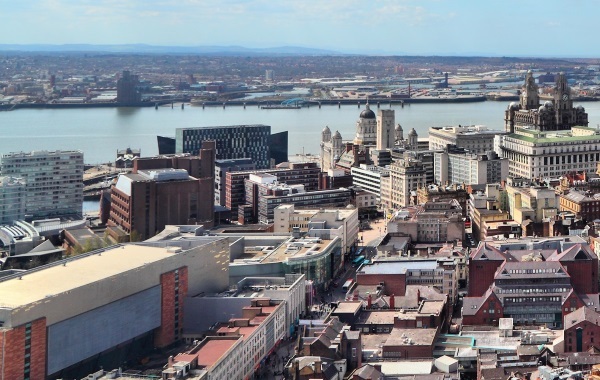 We are looking for mentors for university students to help them develop a hands-on appreciation of the world of work, the expectations and the exciting, global career opportunities they can find in Liverpool City Region. In line with our PBS Board skills’ priorities to improve talent retention and increase employer encounters for students we are working with the universities and are looking for volunteers to offer a range of shadowing opportunities for undergraduates starting from Autumn 2018 – Summer 2019. I’d like to invite you to offer an undergraduate the opportunity to shadow yourself and /or other colleagues. This offers businesses of all sizes the opportunity to take part as it is less intensive than organising a structured work placement of one+ weeks. Yet it offers an insight to different roles the undergraduate may be interested in, as well as experience of a professional environment and the chance to network and make connections. We know from the City Region Skills Survey 2018 that 22% of PBS businesses offer placements or internships; yet 41% would consider it but never actually do it. We would like to engage with those businesses to help them help our local students and therefore our local economy. 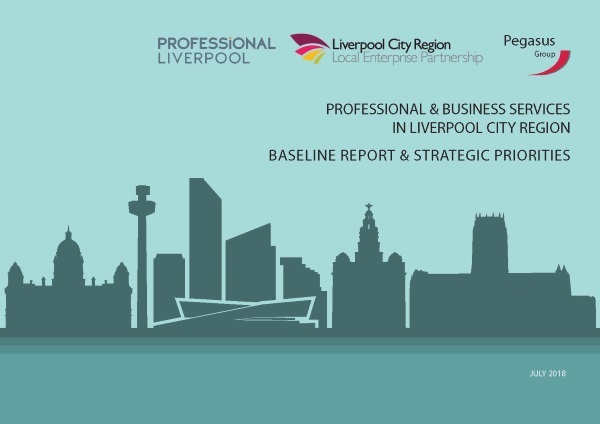 By highlighting five priorities in our PBS baseline review: promotion of our City Region, skills and talent retention, access to finance and business base, inward investment and commercial space; my genuine hope is to engage with our local networks to get them involved and leading from the front. Public and private sector need to work together to achieve improved outcomes against our strategic priorities, to the benefit of all and to raise the sector profile on a national and international basis. Together we can achieve more. Collaboration across the City Region has never been more important. The challenges are wide ranging and we have engaged with stakeholders from across the City Region to present a robust collection of strategic priorities to support careers awareness and aspiration among school pupils, talent retention, improved skills, new jobs, more businesses, improved long-term business survival and increased GVA. I look forward to meeting more of you and being able to discuss with you the benefits you can bring to our students, employees and employers.